Will Ferrell made a surprise appearance on "Saturday Night Live" to reprise his role as George W. Bush and mock the leading Republican presidential candidates. "I’ve made a big decision. I’m entering the race for president of the United States of America," said Ferrell's George W. in the show's cold open. "The field of Republicans out there is so messed up I figured it makes you miss me, doesn’t it? And that’s saying a lot." 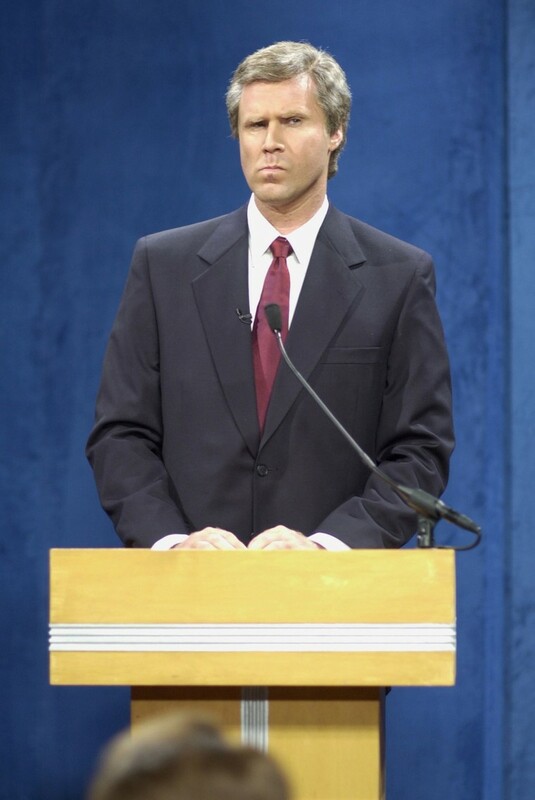 Ferrell, playing the role that was familiar to him during his time as a regular on "SNL" and later on the Broadway stage, then shared his critiques of each of the candidates while less-than-flattering pictures of them appeared on screen. Ferrell roared with laughter when Trump's photo was shown. "I’ll tell you something, whenever I get in a bad mood, I just picture his big fat orange Oompa Loompa face and I just piss my pants," "Bush" said. After roasting five front-runners, Ferrell saved the 43rd president's brother Jeb for last. "You gotta admit, it’s a pretty good plot twist that I turned out to be the smart one," he quipped. "I wish he would have asked me about the exclamation point on the end of his name," he said. "Look, I don’t like the taste of broccoli but it doesn’t get any tastier if you call it ‘Broccoli!’"